While most fans will continue to hope and pray that the end of Avengers: Endgame will provide us with some sort of preview of the future of the Marvel Cinematic Universe that includes 20th Century Fox acquisitions The X-Men, it now seems highly unlikely that will be the case. At least, not as the characters as they have come to be portrayed before now. No matter how many fans debate and movie sites speculate that Hugh Jackman‘s cryptic “cameo” tweet means Wolverine will make his MCU debut, that just ain’t gonna happen. In fact, we may never see Jackman in the role ever again. Or, then again, maybe we will. Even though Ryan Reynolds has pursued a relentless campaign to cajole Jackman into coming out of retirement to suit up as Wolverine just one more time for a team-up with his foul-mouthed alter-ego Deadpool and Jackman himself admitted that he loves the idea of Wolverine teaming up with the X-Men, it’s not likely we will see either of those things happening. X-Men producer Laura Shuler Donner said that Jackman is simply too old to continue playing the part. [Hugh] worked so hard to bulk up, would get up at four in the morning to bulk and eat protein meals every two hours because his natural state, they used to call him Worm when he was a kid. So his natural state is a very skinny guy. Once you reach a certain age, the body just won’t go anymore. I think he was wise to say, ‘I’m at that point. I can’t do it.’ Now, that doesn’t mean he can’t come back as older Wolverine. You never know. Future Wolverine, you never know. What’s next for the X-Universe? Everything that is not already in production has been halted, cancelled, or put on hold for the time being. 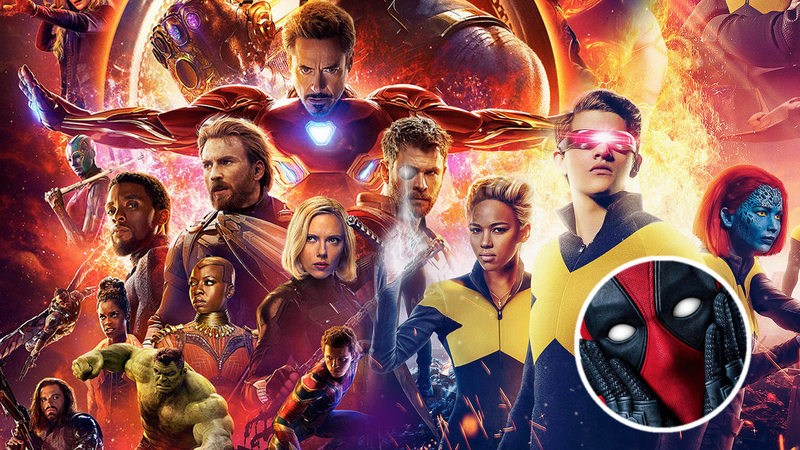 That means we will still get the horror-hybrid New Mutants and one final go-round with the X-Men 2.0 in Dark Phoenix, but Shuler Donner said she thinks the X-Universe needs to go “in a different direction” and we won’t be seeing the highly-anticipated Deadpool spin-off X-Force, Channing Tatum‘s Gambit or James Franco‘s Multiple Man any time soon, if at all. Everything is on hold, since Disney took over. I, frankly, took a step back after ‘Deadpool,’ so I wasn’t front and center, at all, for ‘Apocalypse’ or ‘New Mutants’ or [director] Simon Kinberg‘s ‘Dark Phoenix.’ He took over, but these were things that I put in place. With ‘Gambit,’ certainly, it’s too bad that it’s taking so long because I really wanted to see that. It’s such a great character. But, let’s see. Let’s hope so. Right now, it’s all in Disney’s hands. We don’t know what they’re gonna do. Surely, Ryan Reynolds’ fourth-wall breaking ‘Merc with a Mouth’ could survive the merger if any of them can. After all, Deadpool is seemingly self-aware of his own existence as a character, both in comic books and in the movies, so he must have some special-dimensional ability that would allow him to cross the void into the MCU unscathed, right? Well, there is that pesky business of Marvel only putting out PG-13 movies to conform to Disney’s family-friendly image and Deadpool being a foul-mouthed bloody maniac with an R-rating. Fear not, fans of the f-word, Disney CEO Bob Iger said during Disney’s Q1 earnings call that he sees no reason to change Deadpool‘s formula. We see that there is certainly popularity amongst Marvel fans for the R-rated Deadpool films. We’re going to continue in that business and there might be room for more of that. Oh man that’s too bad about Jackman. I can understand that they would want to start fresh but it woulda been nice to see him with the Avengers. I hope they dont mess with Deadpool. Like at all. BTW I like these long form posts a lot. Nicely done. I for one liked Fox’s movies just fine. I have seen them all going all of the way back to the first X-Men when I was still in school. Not everything needs to have that same Marvel quality. I like Marvel movies but they can be a bit monochromatic.